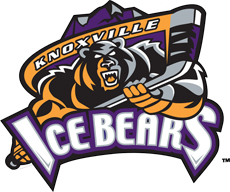 Join us for a special networking opportunity at the Knoxville Ice Bears, plus STAY as part of our group for Farragut West Knox Chamber NIGHT for the 7:30pm game versus Quad City Storm! Networking to be held in the Coliseum’s upstairs reception room from 5-6:30pm. Refreshments to be provided; cash bar per coliseum rules/regulations. Parking is $5 per vehicle in the city garages across the street. Family welcome for the networking for your convenience! Anyone wishing to stay for the game MUST purchase tickets under our group rate ($15 / Normally $17 Adults) by calling the number listed below. All members of our Farragut West Knox Chamber group receive a complimentary Ice Bears ball cap! UPDATE FOR THOSE STILL NEEDING GAME TICKETS: Please call 865-525-7825 BEFORE 12 NOON on Thursday, 2/21 and tell the Group Sales Office you need to purchase Farragut West Knox Chamber group tickets. The weblink we listed closed at midnight on Tuesday to allow existing tickets to be emailed to group attendees on Wednesday, per regular group sales procedures. Calling is the only way to still get tickets with our group at the discounted rate. Your tickets will be able to be picked up at Will Call. The regular Box Office will NOT be able to honor the group discount the night of the game. 500 Howard Baker Jr. Bvd. FOR THOSE STILL NEEDING GAME TICKETS: Please call 865-525-7825 BEFORE 12 NOON on Thursday, 2/21 and tell the Group Sales Office you need to purchase Farragut West Knox Chamber group tickets. The weblink we listed closed at midnight on Tuesday to allow existing tickets to be emailed to group attendees on Wednesday, per regular group sales procedures. Calling is the only way to still get tickets with our group at the discounted rate. Your tickets will be able to be picked up at Will Call. The regular Box Office will NOT be able to honor the group discount the night of the game.